These stunning crescent earrings are eco friendly and handcrafted by the art of paper quilling and are one of a kind. 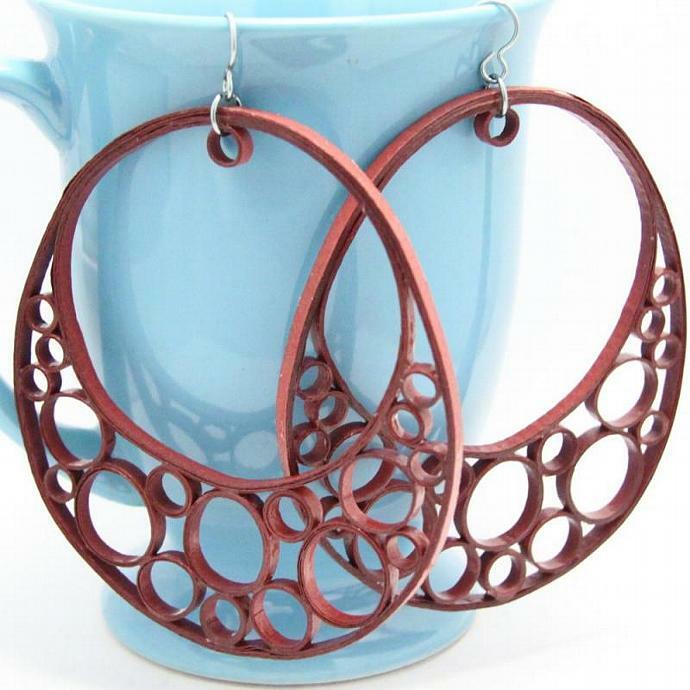 I used specialty quilling paper in a gorgeous rust shade to create different sized circles for this design. This is for people who love BIG earrings! These are sure to elicit many compliments! The great thing about paper quilled earrings is that they are lightweight! So even though these are very large earrings they are as light as a feather! No sagging earlobes with these earrings! The open and airy design is perfect for spring and summer fashion.